I like to read in bed before I turn in for the night. It is the fault of author, Nathan Dylan Goodwin, that I missed out on several hours sleep this week. 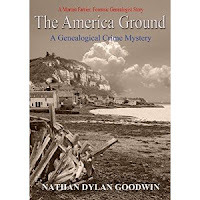 Nathan kindly sent me a review copy of his latest genealogical mystery, The America Ground - the third book in the Morton Farrier genealogical crime mystery series. Once I started reading it was hard to stop. The book was attractively presented with an appropriate cover illustration, the paper was light enough that the book was easy to hold up in bed and the font a decent size for old eyes. I did find the narrow margins disconcerting and would have liked a bit more white space around the edges of the text. I was quickly hooked by the story although at times I found the prose a bit stilted and thought that there was an overuse of adjectives in some places. But it's really all about the story and that hooked me in. Having read the first two books in the series I have become fond of Morton Farrier, the larrikin genealogist, and his long-suffering fiance. Will she ever get him to the altar? It was nice to reconnect with these characters but this book is suitable for anyone to read as a standalone. Anyone who likes a good whodunnit (not just genies) should enjoy this tale. The story moves in time between 1827 and the present day with a short visit to the 1980s. I did not find this at all confusing as one does with some time travel tales. From a very early stage I was hooked by the story and just had to keep reading to see how Morton solved the mystery that was presented. With a few murders, some kidnapping and a touch of romance this novel kept me in suspense until its last pages. The subplot of Morton's search for his biological father added an extra dimension to the story. An added bonus for we genies is that Morton talks our talk and hangs out in the places we like to visist. I would certainly recommend this book to fellow readers. Thanks Nathan for sending me a copy to read. I'm now hanging out for Book 4. The America Ground is available as an ebook from Amazon Australia. I was pleased that I received a hard copy edition which it appears that Amazon.com will ship to Australia. It's a chilly spring Friday here in Sydney so I have raided my sock drawer and also fished out a thick cardigan. With a hot cup of coffee beside me I am settling in for a pleasant hour revisitng posts read earlier this week. 1. Take a trip down memory lane with Chris. You could use her images for blogging prompts. 2. Fran asks if your blogging has dropped off lately. 4. I've gone past this many times over the years. Pleased to learn a little of its history. 6. Can you help Sandra find Walter? How about leaving some suggestions on her blog? 7. Food for thought. I posted this on a Facebook group and got some aangry responses. 8. Suzy asks "Do you write letters?" 9. Kerrie Anne remembers local servicemen. 10. I loved poring over catalogues like these with my grandmother. 12 Lynne writes of a mousehole family. Congratulations to The Familysearch Library and those who serve there on your 30th Anniversary. Thank you to The Church of Jesus Christ of Latter-day Saints who so generously share this resource with us. As one who has been privileged to visit in person several times I recommend that all genies make a pilgrimage to this institution at least once on their lifetime. I'll be visiting again when I attend Rootstech 2016 and have added extra days to my visit for library research. Thirty years ago one had to pay a physical visit to avail oneself of the resources at The Library but today we can visit virtually and access a huge range of resources to support our ancestor hunting habit. The people at Familysearch have shared this nifty infographic that compares The Familysearch Library now with that of thirty years ago. For those of you who would like to read about the history of the service Familysearch has shared this information. (SALT LAKE CITY, UTAH, 22 October 2015)—FamilySearch’s Family History Library (FHL) in downtown Salt Lake City, Utah, will celebrate its 30th anniversary on October 23, 2015. When the new facility was completed in 1985, The Church of Jesus Christ of Latter-day Saints was already considered the foremost authority on family history research. During the past three decades, the library has been hailed by genealogists as the top research and collections library in the world—a designation it still maintains—in part, because it has evolved to keep pace with the changing demographics and demands of family researchers and the communities it serves. “The Family History Library in Salt Lake City is unique in all the world,” said Diane Loosle, director of the world-renowned library. She explained the focus of the library has always been to increase access to the world’s genealogical records and help patrons make personal family discoveries. The Family History Library has been attracting guests and visitors from all corners of the world for three decades due to its expansive collection of resources and knowledgeable staff. “Most mornings before the library opens, people begin to queue up in front of the doors waiting to get in,” Loosle said. It appears the masterminds behind its construction had a vision of future demands. Plans that seemed almost grandiose when construction of the edifice was announced in 1983 have not only materialized, but have also led the way through the years to accommodate ever-improving research and information gathering options. It has come a long way since its humblebeginnings in 1894 as a one- room repository of the Genealogical Society of Utah, just around the corner and up the street in a small building called the Church Historian’s Office at 58 E. South Temple. The five-story building in downtown Salt Lake City today continues to serve as a repository and physical point of access forFamilySearch’s now billions of records. Instead of growing numbers of microfilm and microfiche, the influx of new records today continues digitally through online indexing, patron submissions, partner exchanges, donations from various government, religious and private entities and local records preservation and access initiatives world-wide—most of which is made available at FamilySearch.org. The library continues to move with digital innovations, benefiting from the latest technology to preserve and provide access to the world’s genealogical records and increase the success of personal discovery. Progress in gathering, copying, and making records available has been dramatic and fast. Over 300 camera teams are digitally preserving historic records worldwide—over 100 million images per year—that are published directly online. In this age of 24/7 access to information and growing thirst for digital services, libraries across the nation are evolving to meet the changing demands of the communities and patrons they serve, and the Family History Library is no exception. About 25 percent of the 2.4 million rolls of microfilm stored at the Granite Mountain Vault have been digitally published online. The Family History Library itself has about 1.5 million rolls on site. As physical films are digitized, they are removed from the library. Insofar as possible, the records teams plan on digitally publishing all of the microfilm online for 24/7 access. In 1985 family history research was a very individual experience requiring each person interested in a specific record to scroll through microfilm or search microfiche. In 1985 over 600 microfilm and fiche readers were housed in the Library. Though microfilms and fiche still play an important, though less frequently used role, a large portion of today’s research is now computer-based. Today the Family History Library boasts 550 Internet-enabled patron computers while still providing access to over 200 film and fiche readers. The Library also offers free access to film, book, and photo scanning equipment to help patrons digitally preserve and share family records. The library is the hub of a worldwide genealogical library system—including 4,883 satellite branches in more than 100 countries—called FamilySearch Family History Centers or affiliate libraries. The library began serving about 2,000 patrons a day or 700,000 a year in 1985, and today, with FamilySearch.org and its satellite branches, it serves over 45 million guests per year. Visitors to the Family History Library find an amazing collection of resources collected over 120 years and hosts of friendly people with expertise available to help them. The Library delivers with an impressive cadre of 45 full and part-time staff, and perhaps unprecedented for libraries, 550 full- and part-time volunteers or “missionaries.” The volunteers hail from all over the world, many of them dedicating up to 18 months—at their own expense—to help patrons make successful discoveries. The main floor of the library is specifically designed to assist inexperienced patrons in getting started. The floor has been outfitted with computers supported by volunteers trained to assist beginners. Volunteers and expert reference staff are also available for more in-depth research on the other floors dedicated to records from certain areas of the world. On its lower level, for example, is found the largest number of Chinese clan genealogies outside Mainland China. This level is also used for storing family histories, and overflow films, and books available by request. Requests for digitalization of these and other personal books can be requested here, and is done at another facility in Salt Lake or at many of theFamily History Centers and affiliate libraries. “The library is not a repository for original documents as is the case with specialized archives; it is not an archive in that sense,” noted David Rencher, chief genealogy officer for FamilySearch. “But it accepts donations of published works of genealogical significance.” Books and serials are continually added to the library’s shelves—over 600,000 in fact—and the library is heading up an initiative with other public libraries to digitally publish historic books of genealogical relevance online—over 225,000 have been digitally published online to-date. The library is focused on continuing to expand access to the world’s genealogical record collections to satisfy growing consumer demands. In 1985, the average patron was mostly retirees or professional researchers. “Today, the patron faces are changing. It is common to see working professionals, families, and even a growing number of youth amidst the stereotypical retirees and serious researchers,” said Loosle. Loosle sees a bright future for the library. “The library is still the best place to do family history research and will continue to serve that purpose.” In addition, the library has created a lab for testing discovery concepts called the Discovery Center, afamily-friendly area where families, and particularly young people, can begin the journey of self and family discovery through fun and engaging activities. 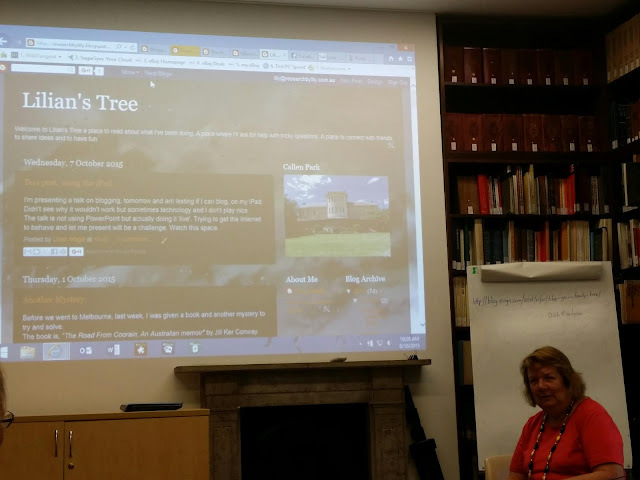 Over time, similar experiences are planned to be incorporated in the Family History Library. We anticipate the exciting additions will attract thousands of new patrons who want to discover their familyhistory. The library will continue to develop and offer timely, free guest classes broadcasted as webinars. The schedules, necessary connection links, downloadable handouts, and recordings to past webinars are accessible online through the FamilySearch Wiki. The library also hosts a community block party in June. This year over 3,200 participants came and enjoyed a free family day including bounce houses, face painting, cultural entertainment, family history centric activities and classes. The 2016 party is tentatively scheduled for Saturday, June 11. Begin your family discovery at the Family History Library, online at FamilySearch.org or through a local FamilySearchFamily History Center. Six of my grandchildren have Dutch heritage due to their mothers' ancestries. In an attempt to balance the children's family trees I have dabbled in Dutch research. This morning I got a real Dutch treat from my son's mother-in-law, she shared with me a family tree on DVD that had just arrived from a relative in The Netherlands. I appreciate the genearosity. The 319 page Word document and associated index (in Dutch) takes three of my grandchildren's line back to the 13th century. It is beautifully presented with copies of documents, photos, stories (which I can't understand) and clips from original registers. Unfortunately these are not sourced. I will not be adding all of the data in this document to my family tree because I haven't the time, the info is unsourced and some of it is not relevant to my grandchildren's line. I will try to add direct line names, dates and places information for my grandchildren (even though sources are lacking) as the names and dates may provide clues for other researchers to follow up. The good news is that I can search for some sources in the Dutch Open Archive which allows searching in English (and several other languages). It may make take me some time to do this work as I will need to work with a Dutch-English dictionary beside me and I'll need to become friendly with Google Translate. In the meantime I've copied the document into a folder on my hard drive and backed it up. The DVD which only arrived in Australia yesterday will be returned to its owner on the weekend as she only perused it quickly before giving it to me. I am privileged that I was given this research to use. Hours and hours have been invested into this detailed document. Yesterday, as part of my GeniAus database cleanup campaign, I extracted many of the original BDM certificate copies I have purchased over the years from their unhealthy plastic sleeves in ordinary old plastic binders. I scanned them (from A-G surnames - plenty more to do) and looked over them with fresh eyes. I milked many more facts from them than I had when I initially procured them. While I had them in my hands I added to my database informants and witnesses of various BDM events and the names of priests and ministers who had performed the ceremonies. It was amazing how many witness names I now recognised that I hadn't when I first looked at these documents. There were lots of in-laws, cousins, aunts and uncles at the events. Thankfully Family Historian software allows one to add witnesses to events (a feature missing in many genealogy software packages). In some cases I hadn't even noted in my database that I had a copy of these documents in my possession (ie sources were missing), I put that right too. My next task is to rename and file those digital images into their folders on my external hard drive (then back them up to a second) and then purchase some archival quality sleeves and folders in which the keep my original hard copies. As Qantas will let me bring lots of luggage home from Rootstech in February I'll put these on my shopping list for when I am in Salt Lake City. Last week I blogged about the prize of 5 Birth, Death or Marriage Images from The Queensland Registry of Births, Deaths & Marriages I won in the National Family History Month draw. Today four of the five I requested arrived by email with an apology that my fifth request was not available as an image but I can choose another. How efficient is all that? I chose death certificates as I thought they would give me information on three generations and perhaps lead me to some living cousins .... and from a quick scan at the info contained in them I think my chances are pretty high. Our Australian certificates allow for the recording of lots of information and my four new ones have lots to tell me. I'm off now - to do some more milking. It's nice to settle down with prospective GeniAus' Gems in my geneacave after a day out in the Aussie spring sun. I enjoyed seeing the youngsters at the Grandparents' day at the school two of the descendants attend but the weather was fierce. I hope you can find a quiet, cool place to enjoy some of the posts I enjoyed this week. Here is a small selection. As always there's an Aussie bias with some foreign representation. 1. Denise explains things so well. 2. Cheryl shares a woman's view of WW2 Egypt. 3. James reminds us there's no such thing as a free lunch. 4. Diane is recording her stories for future generations and I am enjoying them. 6. Thanks for following my suggestion, Shelley. 8. 36 is too young to die, Mria. 11. That title drew me in Caitlin. 12. Prue scores at a flea market in Germany. Some leads coming my way? Back in National Family History Month I was the winner of not one but two prizes in the Prize Draw. I am most grateful to all of the sponsors for their support of this event. One of my prizes was 5 Birth, Death or Marriage Images from The Queensland Registry of Births, Deaths & Marriages. I was rather excited to win this as a few ancestors escaped to the Sunshine State and I don't know much about them. This prize is worth more than the $100 value to me. I decided to order Death records as I thought I would get the most value from them. After a lot of deliberation and index searching I selected five people, three from my side of the family and three from Mr GeniAus' family. I have asked for records for a great-aunt and two first cousins once removed. On Mr Geniaus' side I've requested a first cousin once removed and a first cousin 3 times removed. I find the Queensland interface for searching more user friendly than the NSW one so my selection process was a pleasant activity. I am hoping that I have spent my prize wisely and that the results lead me to find some new cousins. My prize email from the The Queensland Registry of Births, Deaths & Marriages says that I will have my images within four weeks - I can't wait. Thanks to all the genies from around the world who entered my competition to win a full Rootstech Pass. While I would like to have given the pass to an Australian I resisted the tempatation and conducted a fair competition.... it came down to the luck of the draw. All entrants bar one submitted the correct answer, 19, so I had to draw a name. I wrote each name on one of my business cards and shuffled and shuffled before selecting the top card. The winner was Leslie Lawson, whose name is actually familiar to me through her blog, Genealogy and other thoughts, After checking Leslie's bio I found that she was from Oregon so she will have to incur some expense to travel to Salt Lake City for Rootstech. This generous prize from the organisers should relieve some of that financial burden. I hope that all of the entrants will consider attending Rootstech, it is worth every cent (and more). You will need to move quickly to Register before October 15th at The Earlybird Price of $US149. 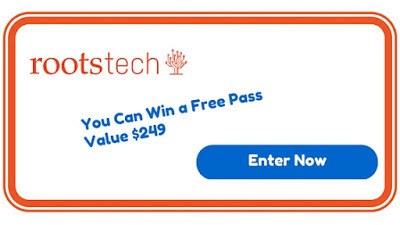 Leslie, I will be forwarding your Rootstech Winner Certificate by email. I'm a bit of a bibliophile who tries to be sensible and not spend too much on books so I love receiving bookish gifts. Today I was really spoilt. As a thank you for my presentation at Hawkesbury Family History Group I was presented with some pretty flowers and a shiny black bag that contained two recently published books, a historical society journal on Hawkesbury Personalities and an FHG newsletter. This gift chosen by the Group Coordinator, Michelle Nichols, was so appropriate for a booklover. When I delved into the bag I was reminded that speaker gifts were a topic of conversation at the recent member forum at NSW and ACT Association of Family History Societies Conference. Delegates were discussing options of gifts for presenters other than the usual bottle of wine or box of chocolates. A few suggestions were bandied around, someone suggested pens made from special timbers , others suggested petrol vouchers or gift vouchers. Having been the recipient of all of the above as well as several local history books I have appreciated the vouchers and books most of all. As with many things in life one size doesn't fit all. What I was trying to get across in my talk today was the idea that we should not only be well-mannered but thoughtful genies as well. In her selection of a gift for me today Michelle demonstrated that thoughtfulness. BTW I had a beaut time at the event today and was most appreciative of the lovely comments and interesting family skeletons attendees shared with me after the talk. Queenslander "Granny Walz" welcomed her 88th descendant in 1930. I wonder how many descendants there are around today and how many of them still reside in the Mackay area. My presentation at the Hawkesbury Family History Group on Wednesday this week is titled "Do the right thing - minding your manners in the geneasphere". One of my slides contains this clip of a comment from Alex in response to Susan's blog post. Alex didn't have to tell Susan how she found her way to Susan's post but she did and I am most grateful. THANKYOU Alex. I extolled the virtues of the Wayback Machine in a recent post on the Worldwide Genealogy blog and expressed disappointment that, as I couldn't remember the URLs of my old websites, I couldn't see if they were archived in The Internet Archive on the Wayback Machine. As I was playing around in Rootsweb Mailing Lists this mroning I came across and old post of mine and in the signature was the URL of the website I had at the turn of the century. I entred the URL and to my absoute delight found archived copies of my website. Some of the images haven't saved but I can see the basic structure, plenty of pages and follow some links.. Saved 31 times between September 19, 2000 and September 19, 2006." So let's take a trip down memory lane. I also had a couple of subsites. There was Jill's Jigsaw. And there was my first attempt at a Surname page for Currys in Australia. Too Hot to Handle. I have started over again at http://curryaus.wordpress.com. I am going to record those old URLs in Evernote in case I want to visit my old sites via The Wayback Machine again. As I cast around for images to use on my blogs and in presentations I want to respect copyright. State Records NSW recently posted on Facebook some images from the series NRS 15051 School photos. Of course I followed their link and found some charming old images of schools my parents attended. I then did a further search for some family related towns and localities via The Photo Investigator Search and found a load of images that would enhance my writing. When I saw the note "Reproduction rights: State Records NSW" on the images I thought "Oh, bother" I can't use them legally. Then I noticed at the bottom of the pages a Menu item "Copyright". I am so pleased that I followed the link. I'm no lawyer but after reading their Copyright statement I believe I can use the above mentioned images if I append the description required by State Records NSW ie "© State of New South Wales through the State Records Authority of NSW". You can read the Copyright Statement for yourself here http://www.records.nsw.gov.au/about-us/copyright-policy. I am enhancing this post with a photo from the collection. 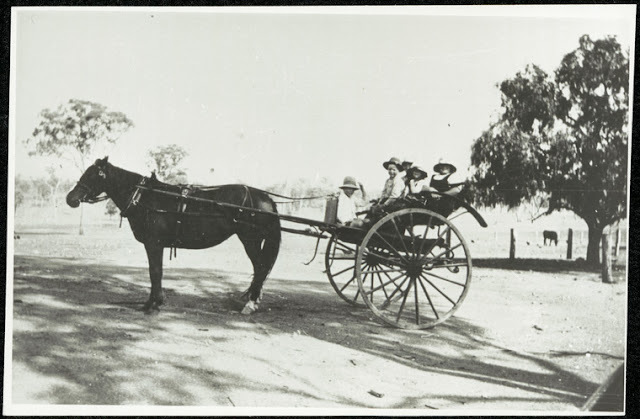 I chose it because it is of a family group in a rural setting going to school in 1929 and that is how my father and his siblings travelled to school at Bangaroo about that time. It would be perfect to illustrate a post about the Curry Children's school days. 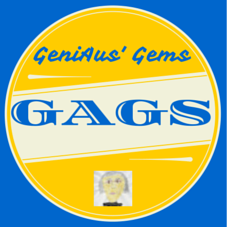 I find revisiting the blogs I have marked as possible GeniAus' Gems in my Evernote folder an enjoyable experience. So for the next ten or fifteen minutes (it was actually an hour) I will head to Evernote, reacquaint myself with those posts and make a final selection. The list I choose is totally subjective - I don't claim to select the best of the best just posts tht resonate with me. (and perhaps you too). Sometimes a phrase or sentiment strikes me, a title amuses me, I learn something new or I want to welcome an absent blogger back into the fold. My criteria are fluid and affected by the environment. A big THANK YOU to those who have shared positive comments about this series recently - makes the effort worthwhile. Each week I seem to happen across new to me blogs, this is good as I note that many of the bloggers in my Inoreader (free, stable, recommended) RSS feeds have taken sabbaticals from blogging. 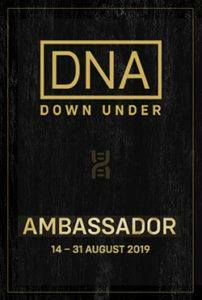 I do hope they return as I try to have a downunder bias in these posts but it's difficult when so many Aussie geneabloggers are on leave at once. I will from time to time add the URLs of new to me blogs to my posts. Enough prattle it's time to head over to Evernote. 1. Jennifer tells us about man's best friend at war. 2. Irish interests? Here's a free course from Trinity College. 3. Matt shares some new treasures. 4. Prue starts off her post by proposing some questions. 6. Canadian, John, writes an unbiased review of an Australian publication by an English author. 8. Denise always teaches me something techy. 9. It's unusual for me to include a post from a commercial organisation, my excuse is that I love words. 10. With a title like that I just had to read Nola's post. 11. Another beaut Outback story from Moya. 12. Susan provides an insight into our ancestrors' journeys. And I nearly forgot the wonderful recounts of the In Time and Place Conference last weekend. Thanks for sharing your experiences, Alex, Caitlin, Fran, Shauna, You made the conference come alive for those of us who couldn't be there. Warcoo Family Histories http://warcoofamilyhistories.blogspot.com.au/ Jeffrey has set up a series of blogs to record his family stories. Fellow geneablogger, Lilian Magill, is presenting a blogging workshop for The SAG Writers' Group right now. Mr GeniAus' grandfather, James Ball died an untimely death. It was reported in the Sydney Morning Herald on this day in 1931. Although I didn't take part in the Genealogy Do-over this year I made a concerted effort to go through my database and look for unsourced or unsupported assertions, sources in the notes field (from an earlier sotware program) , missing BDM data, typos and other odds and ends. The closer the relative is to me the more effort I put into adding to their records. If it's somethone like a fourth cousin's husband I give him less attention. I am pleased to report that I have amended and added to hundreds of my records but I still have quite a way to go. One of the things I have been trying to find are death and burial dates for many of the people in my GeniAus database using The Ryerson Index, Ancestry, FMP, Heaven Address, Google and online cemetery databases.. Realising that many people drop off their perches before they hit 90 I have been looking for deaths for anyone who would be over 80 if they are still kicking. I feel quite guilty when I am trying to Kill someone off in my database. A few weeks ago I came across an elderly cousin of my Mum's who is in her late eighties; she is very sprightly and sharp as a tack. When I was chatting with her I felt quite guilty as I had recently been searching all over the place for a record of her death. Do you get an attack of the guilts when trying to assign relatives to agrave? 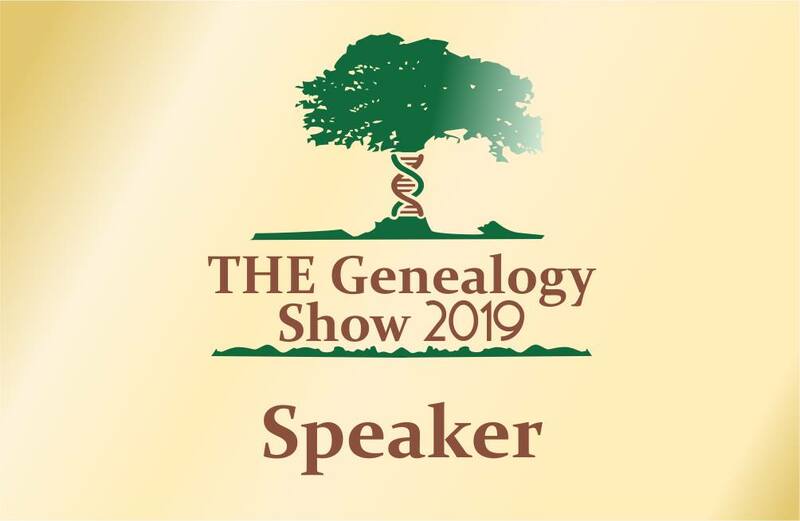 Recently several people I respect have made negative comments on social media about panel sessions at genealogy conferences. I have taken these comments on board as I prepare for the session I am moderating at Rootstech 2016. I am thrilled to announce that I have gathered a panel representing four countries to join me on the podium. The bios for these three folk will appear shortly on the Rootstech website. We have some ideas for discussion during the panel session but I am hoping that you might also be able to suggest scenarios for our panelists to ponder and discuss. You can read about our topic on the Rttostech website here: Dealing with Ethical Dilemmas in an Online World. Please take a look as I'd appreciate your ideas and input, you can place comments on this blog or email jillballau@gmail.com with your suggestions. I was thrilled to see young Australian, Tas, who travelled to Rootstech last year in this promotional video for Rootstech 2016. 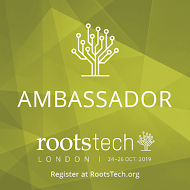 Find out more about Rootstech 2016 here. I've been so busy shopping online that I nearly forgot to share my GeniAus' Gems this morning. I just have time to get them listed before lunch. I bookmarked lots of posts this week, culling the list is very hard so I'm presenting a Baker's dozen. I hope that you will enjoy these posts as much as I did. 3. More security coming for Blogger blogs. 4. 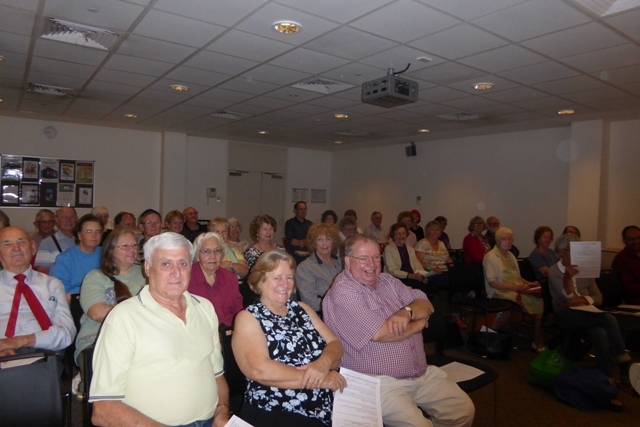 Fairfield City Library relates the story of its German Community. 7. Ethnicity analysis from Sherie. Interesting. 9. 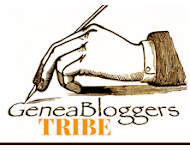 John reviews the Rockstar Genealogist poll. 10. I share DearMYRTLE'S enthusiasm for Google+. Do you. 11. Alan shares ome beautiful images from family bibles. 12. Ttove helps Matt find family faces. 13. Tony raises an important issue.